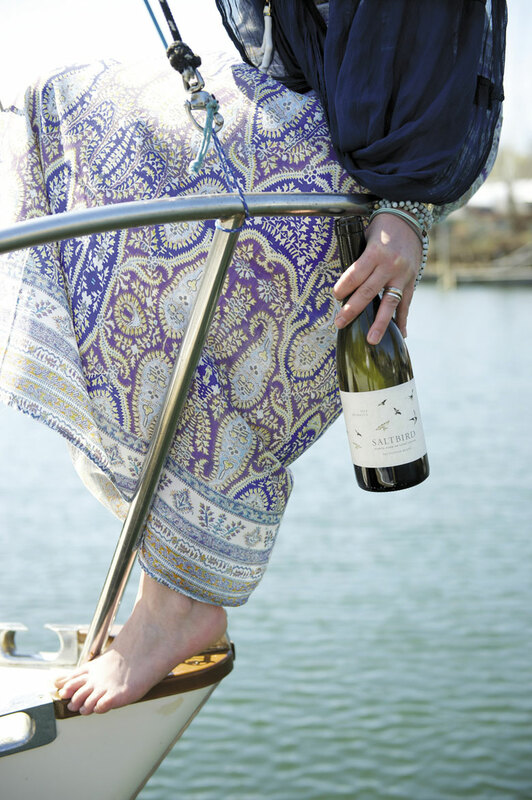 An avid sailor and chemist dips her toes into winemaking. On summer evenings, sailboats race around Robin’s Island in Peconic Bay. Spinnakers aloft, the boats fly past the sandy beaches and salt marshes just west of New Suffolk, and snow-white terns swoop above the water, as if guiding the boats toward the finish line. For Robin Epperson-McCarthy, who grew up on these beaches, these birds symbolize freedom. “And sailing and drinking wine!” she says. A tern in flight, beautifully drawn by local designer Nadira Vlaun, graces her new label, Saltbird Cellars. She’s brought some samples to taste, and we talk about her journey thus far. She’s only 34, but Epperson-McCarthy has been working with wine for 13 years. In a way, it was sailing that started it all. While enjoying a frosty beverage after one of those races, she heard from a wine industry reporter (ahem) about a local gig that would actually make use of her newly minted biology and chemistry degree. On the rural North Fork, a job like that is a rare bird indeed. 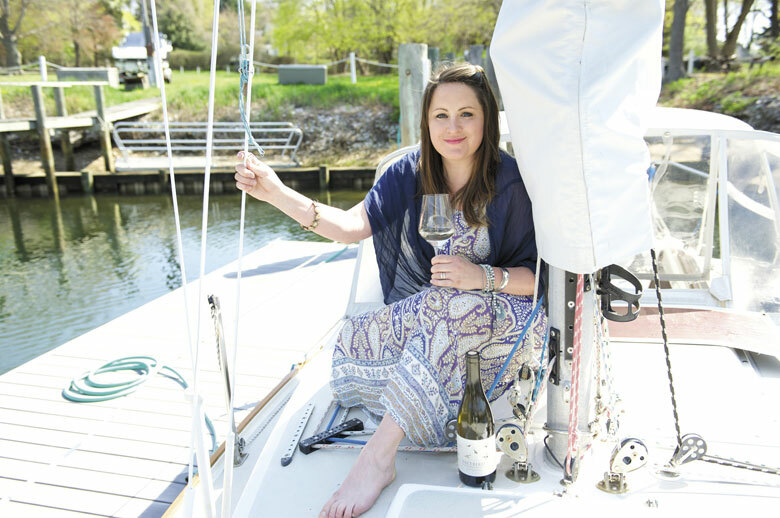 She presented herself at Premium Wine Group in Mattituck; it may have helped that her interview with the co-owner involved a fair bit of talk about sailing. As lab director, she did grape and wine analysis and gained hands-on experience at harvest. She loves to travel, so she worked extra harvests in Australia, New Zealand and California. Stints at Shinn Estate and Martha Clara came next, and certification as a sommelier. Now, she’s with Roanoke Vineyards, as senior sommelier and director of education. She adores her job there, she said; it’s a perfect blend of her diverse skills. She always thought about one day making her own wine. Then came the epic harvest of 2014. 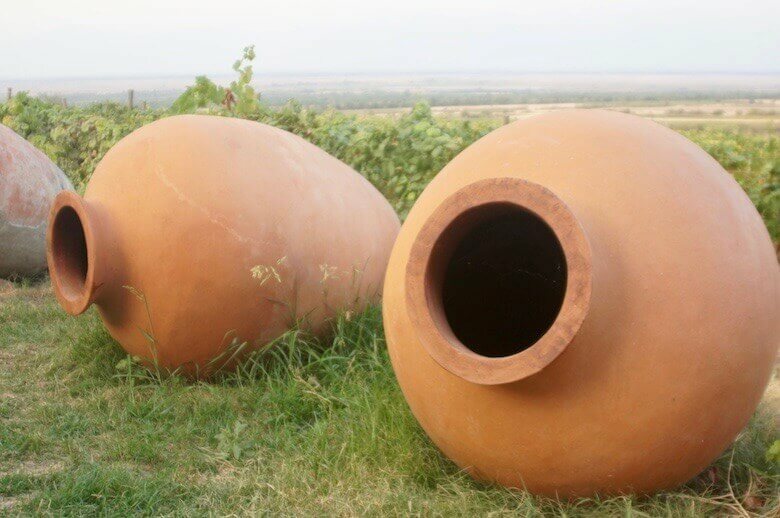 Across the region, wine industry people celebrated the extraordinary vintage as they frantically made room in the tanks and cellars for the huge crop. 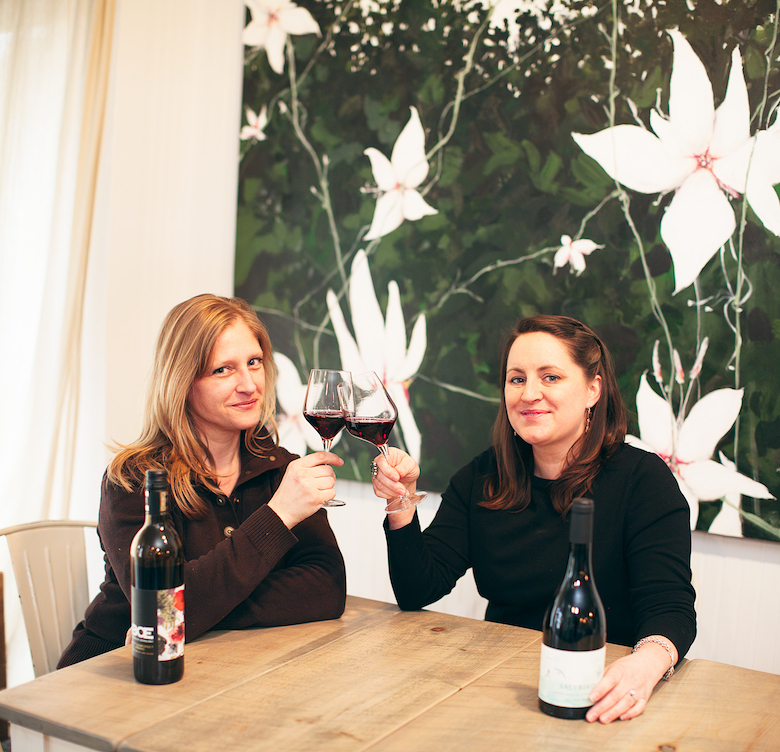 With encouragement from her husband, Andrew McCarthy, her good friend Alie Shaper of Brooklyn Oenology and “plenty of unsolicited, but much appreciated advice,” she took the plunge. 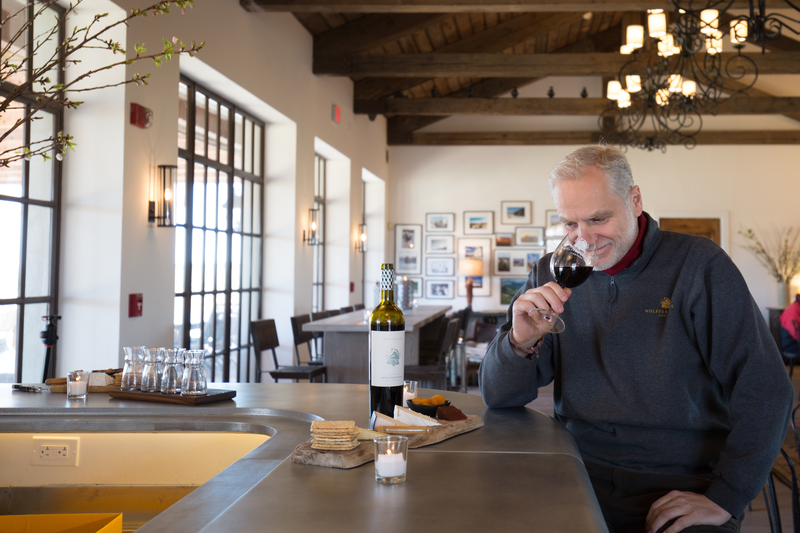 These days, estate wineries don’t exclusively use their own fruit; they buy and sell according to need. Wine producers without vineyards contract to buy grapes. Tons of Long Island grapes are traded within the region and go to Connecticut and upstate New York as well. This secondary market is part of the evolution of a wine region, and like any market, there’s competition. Major, longtime clients reserve tonnage in advance, and put their dibs on the best grapes before they are even picked. Small players, especially newcomers not in the network, usually have to take whatever they can get. Epperson-McCarthy had never bought grapes before. But one of the region’s largest growers, Steve Mudd, heard she was looking and offered her some of the good stuff. More high-quality grapes came from Macari Vineyards; she knows the family from teaching their daughter how to sail. Buying grapes was an amazing experience, she says. “The science training means I understand the numbers, but they also took me into the vineyard, so I could see and smell the quality,” she says. She is of the opinion that growers deal with so many microclimates and such diverse weather that it takes years to gain the knowledge they need. “You can’t just show up and grow,” she says. The stainless-steel version is light, lean and refreshing. It’s got a bright, pretty nose with grass and citrus, but it’s not really like a New Zealand sauvignon blanc. We taste her sauvignon blancs, one barrel-fermented and one stainless steel. The stainless-steel version is light, lean and refreshing. It’s got a bright, pretty nose with grass and citrus, but it’s not really like a New Zealand sauvignon blanc. She knows how to make that style, but she doesn’t want to imitate another region, she says. This is good sailing wine, for sure. As for what’s next, she will sell the wine online at saltbirdcellars.com and also hopes finer restaurants will show interest. She didn’t expect to follow this path, but she’s happy she did. Her original plan was to go to medical school, but wine got her first. It’s demanded a lot over the years, but it has given back, too. She has the freedom to learn different aspects of the industry, to see the world and, most importantly, to keep on sailing and drinking wine in the summertime.